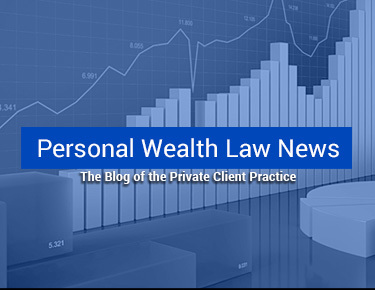 Private individuals, family offices, and closely held and family-owned businesses often face a complex blend of personal, family and business concerns. Our individual clients seek strong, stable asset holding structures, confront challenges from increasingly assertive tax authorities, struggle with family fiduciary disputes, and need support with wealth transfer to charitable organizations and the next generation. At the same time, they regularly seek guidance on business and succession planning. Similarly, our closely held and family-owned business clients straddle the competing objectives of effective corporate governance, financial growth, family accord, personal success and preservation of family values. In response to our clients’ unique mix of personal and commercial concerns, Saul Ewing Arnstein & Lehr provides multi-dimensional guidance on critical personal, civic, charitable and business issues. Saul Ewing Arnstein & Lehr’s Private Client attorneys are dedicated to working with individuals, their families and their offices on their most sensitive needs, as well as counseling closely held and family-owned businesses on governance, growth and restructuring. As a team of attorneys who specialize in private client matters, we recognize this core area of importance to our clients and craft solutions that protect what is most important to them. While our services are particularly attractive to high-net-worth individuals and families, our offerings are effective for clients of any net worth. We help our clients with a myriad of personal planning and business concerns that are often inseparably tied. With practices in the areas of tax, corporate governance, restructuring, real estate, labor and employment, employee benefits, litigation and dispute resolution, we use a cross-disciplinary team approach to effectively address our clients’ specific, unique objectives and offer wide-ranging legal resources when needed. Collectively, our Private Client attorneys have hundreds of years of experience, and in many instances have represented multiple generations of families. Are You Giving Your Heirs an Unanticipated Tax Bill?